Although the spring was dry, recent rain has left puddles and muddy patches on the Mountain Plantain Trail in Mount Washington. 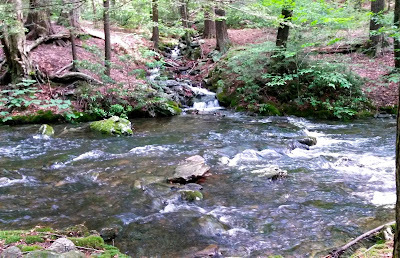 After carefully stepping around the water for most of the hike, I gave in and embraced the cool wetness on my toes! It was definitely worth it. The laurel was magnificent! 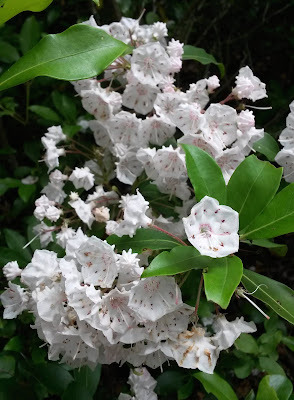 This trail, a side trail to the AT just north of Sages Ravine, has the most amazing laurel display in the Berkshires, in my opinion. 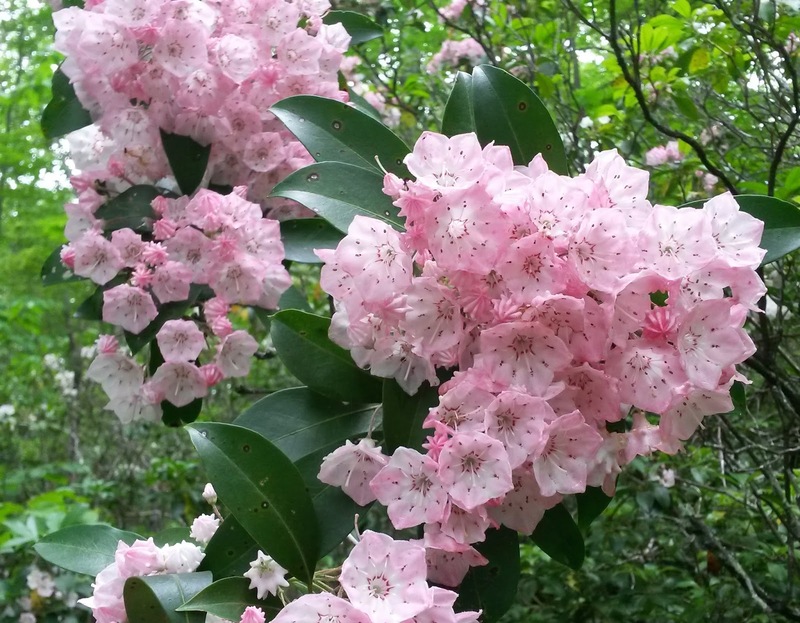 Some years the flowers are more abundant and this is a banner year. 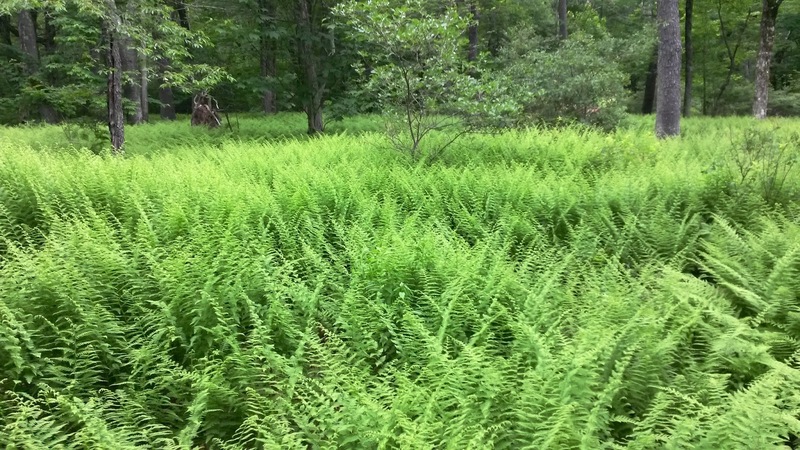 We accessed the AT from East Street in Mount Washington at the Connecticut line. 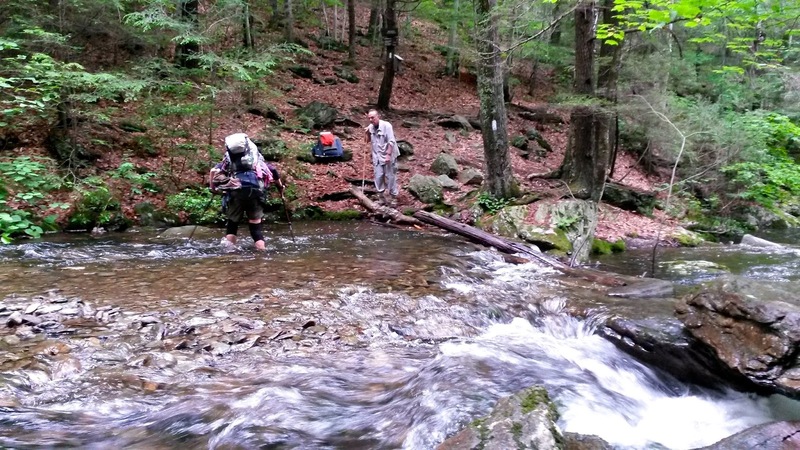 We walked past the Northwest Cabin to the trail, continued left down through Sages Ravine past the camping area and on to the stream crossing. 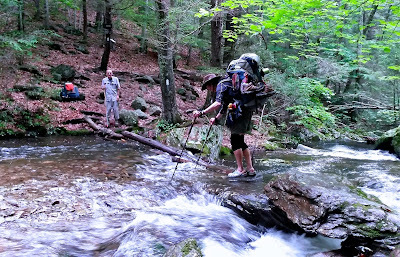 There we met a thru-hiker, who was contemplating how to get across the high waters. Her trail name was Shadow and she was from Tennessee. She said she was inspired by Grandma Gatewood who, in 1955 at the age of 67, was perhaps the first woman to thru-hike the AT; that's over 2,000 miles. Her fascinating story is the subject of Ben Montgomery's best selling book, Grandma Gatewood's Walk: The Inspiring Story of the Woman Who Saved the Appapachian Trail. Shadow, who was also 67, said that if Grandma Gatewood could do it, then she thought she could also. 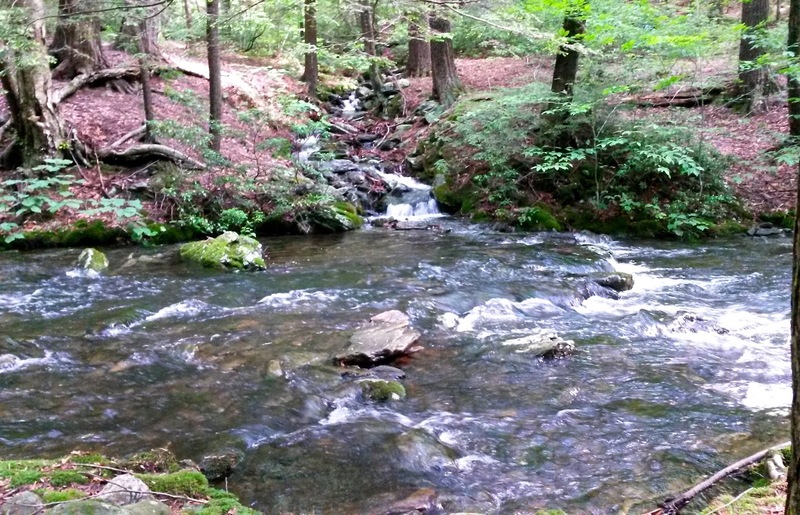 Shadow decided to remove her hiking boots and socks and walk across the swiftly-moving, swollen river in her Crocs. We applauded her success and waved good-bye. Then we walked back a mile to the bridge across the river at the campsite, not willing to get wet up to our knees or walk through the river barefoot. I guess I need to toughen up! usually dry this time of year . preparing to cross the river. She steps off with coaching from her friend already on the other side. She encounters knee-deep water but had no problem crossing. 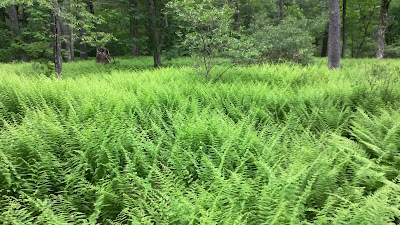 The bright green of this field of hay-scented ferns under the sparse trees was dazzling. Most of the laurel blooms were white. 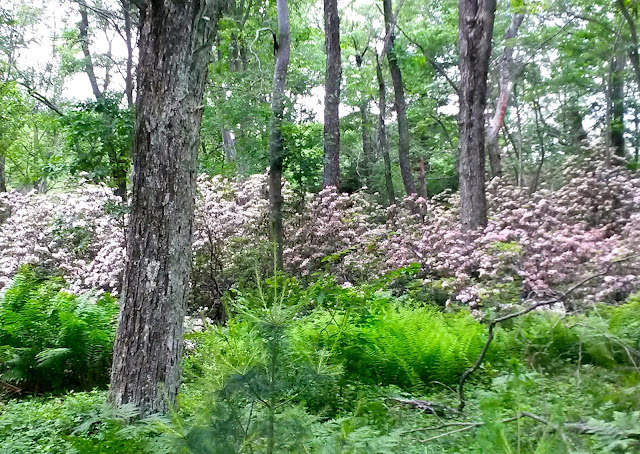 Many areas on Mount Plantain were overrun with mountain laurel in full bloom! 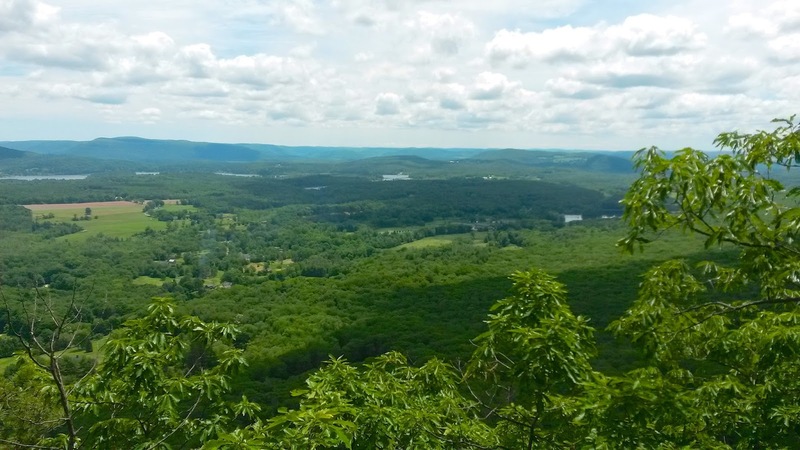 We stopped to admire the view eastward from a small rock opening on Nature Conservancy property.